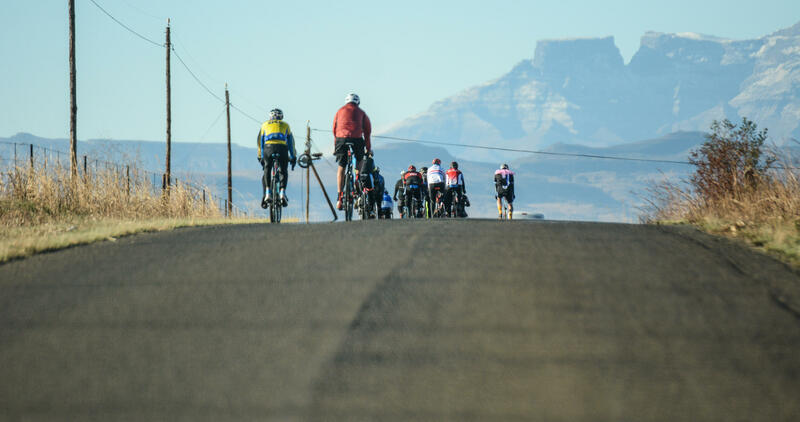 Durban – As they continue their fundraising for the CHOC Childhood Cancer Foundation of South Africa, the passionate cyclists who make up The Cows embark on the unique three day GABRAN ride from the foothills of the Drakensberg to Hillcrest next weekend, from 31 August to 2 September. 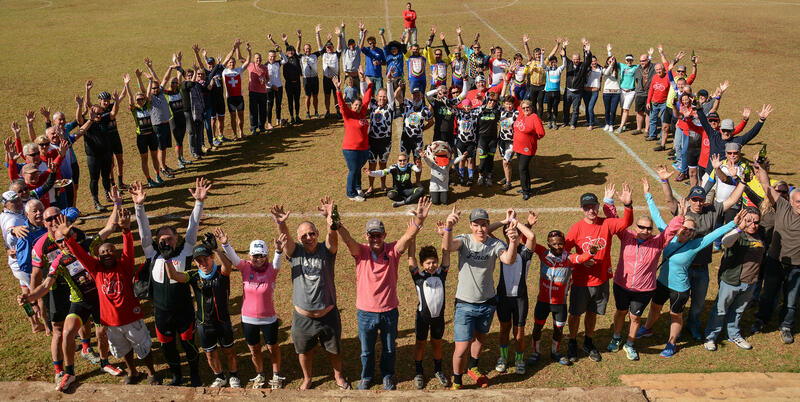 GABRAN stands for the Great Annual Bike Ride Across Natal, and for decades it has attracted cyclists keen to enjoy the social, non-timed ride and striving to better the amount raised for CHOC the year before. 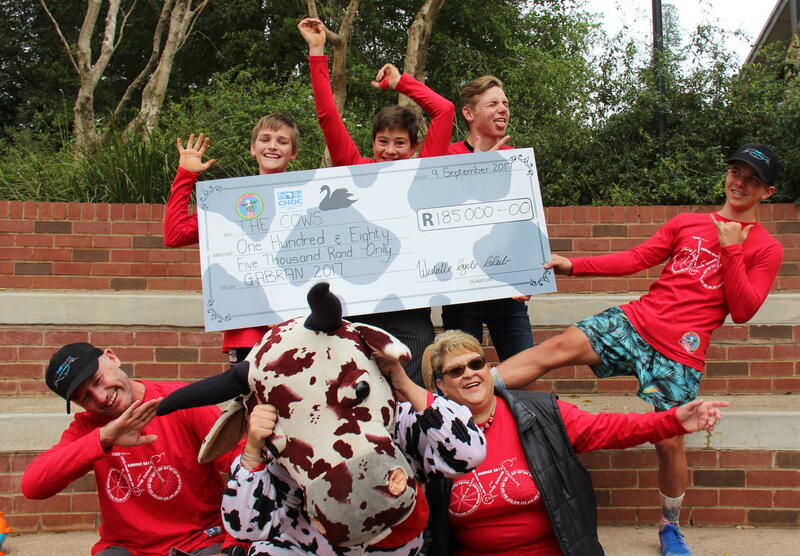 Last year the Gabraners raised R185 000 through entry fees, raffles and competitions and personal fundraising efforts, taking the total earned from Gabran by The Cows in the last four years to R570 000. They start at ATKV in Drakensville for the 100km first stage to Escourt, followed by an 87km second stage to Howick, and it finishes with a 94km closing stage to Hillcrest, with overnight stops at Wagendrift Dam and Midmar Dam. 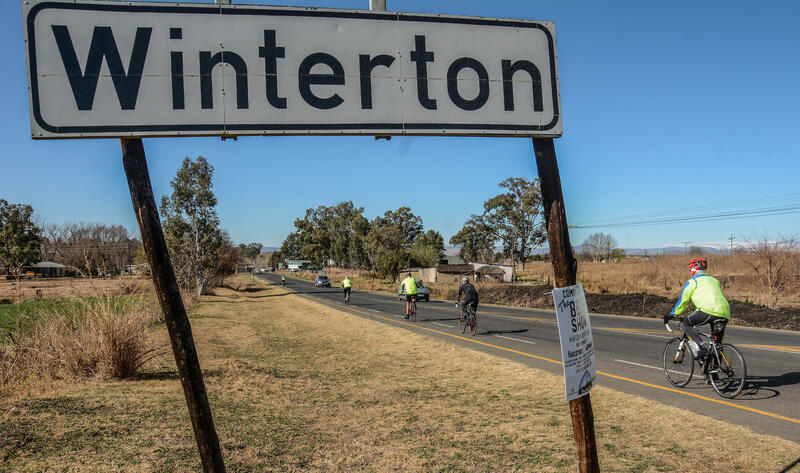 Started 29 years ago and run by the stalwarts from the Westville Cycling Club, the event has in recent years become an important part of The Cows fundraising and social calendar. "It is totally unique," said organiser Lynne McRae. "You get a relaxed, social way to enjoy three days of great riding in a totally non-competitive spirit, and you get to see this spectacularly beautiful country of ours while making a real difference by riding for a cause." "It is very social, and everyone rides at their own pace," she explained. "There is always someone to ride with you!" The race visits a number of stops along the way that have become iconic features of the Gabran, including the Winterton Country Club and the Bierfassl in Nottingham Road. "There is now a wine farm in Winterton, so we have a group that plans to visit them for a tasting on the way," said McRae. McRae said that plans for the ride, from Friday 31 August to Sunday 2 September were well advanced but added that riders ken to join the event could still be accommodated. "All you need is a sense of humour matched by your sense of adventure and you will be fine," said McRae. "Oh and bring some warm clothes because somehow we always hit a chilly spell during the Gabran! The Cows beanies then become indispensable!" The Cows were started in 2008 by a group of eight enthusiastic cyclists keen to make a difference and raise funds for CHOC. Cordi van Niekerk was one of the founder members and joined Kerrin and Grant Bain in cycling the 94.7 Cycle Challenge in memory of their little daughter, Jessica, who had recently died from cancer at just 20 months old. As CHOC had played a significant role in the Bain family's life in the last few weeks of Jessica’s life, specifically with palliative care and emotional support, the decision was to make CHOC the beneficiary of their quest. They decided to don cow suits and succeeded in raising R230 000. In 2009, the herd gained momentum and grew to an incredible 140 energetic cows. Just two years later the herd numbered a staggering 350 cows all riding for a purpose. Armed with the ‘Love Living Life’ slogan and a healthy dose of enthusiasm, the herd has enjoyed much success and acclaim. Ten later, hundreds of people have participated in events wearing cow suits. The Cows have just broken through the R29 million mark of funds raised for specific projects implemented by CHOC and The Cows brand is prominent in many sporting events in South Africa. With these funds, CHOC is able to make a difference to the children being treated for cancer throughout South Africa. One herd; one quest: to make a difference to children with cancer. Love Living Life!